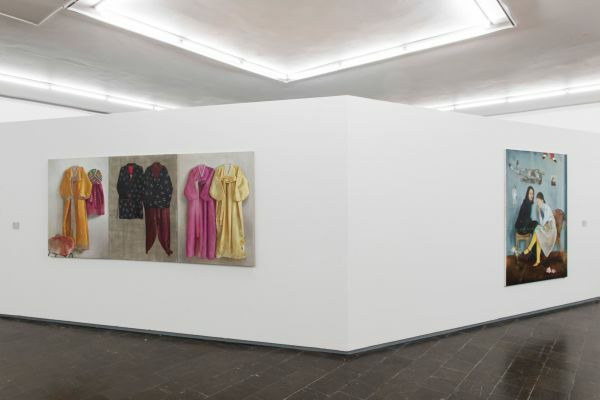 In this exhibition the Kunstverein Recklinghausen celebrated his 25th anniversary by showing works of artists who have had a solo-exhibition in the Kunstverein Recklinghausen over the years. 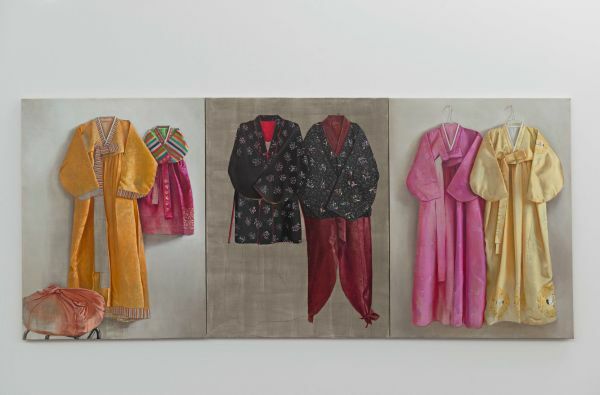 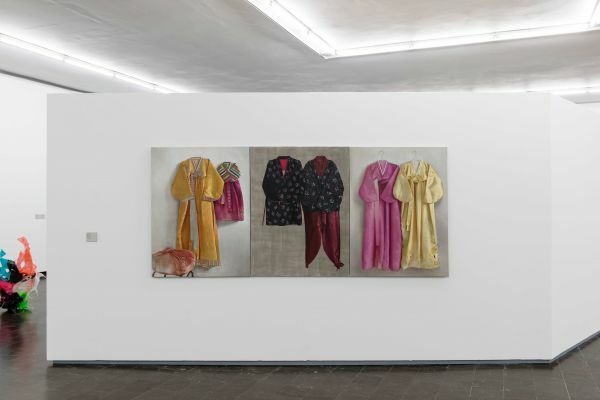 Helena Parada Kim contributed three paintings of Hanboks, hanging next to each other, like in a triptych. An older painting of the artist was also shown: „L´absence du maitre“, a double portrait of the artists friends in which she quotes several iconic paintings by Manet, Watteau and Vermeer.